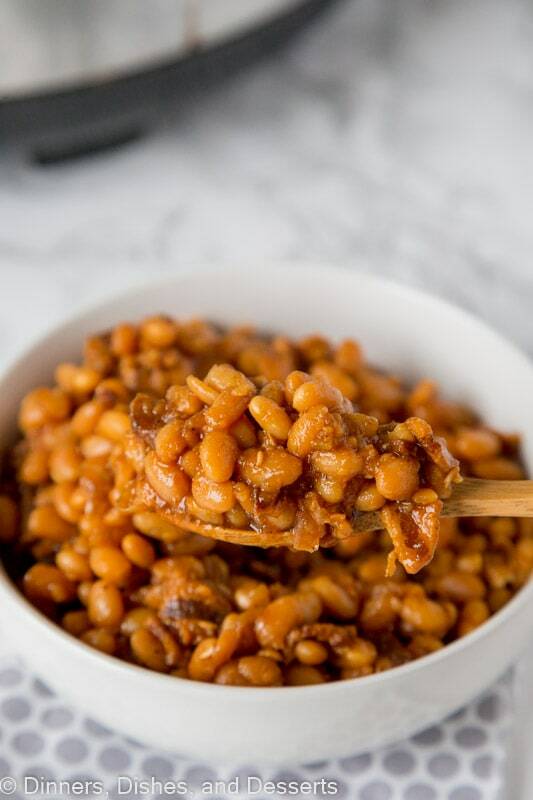 Baked Beans Recipe – The BEST homemade baked beans recipe. 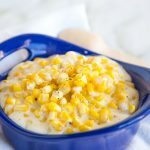 Super simple to make and it is all done in the crock pot! 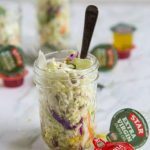 Make for all your get togethers and barbecues this summer! It is ok to admit if you just buy the can of baked beans at the store and heat them up. I have done that for years. I usually doctor them up a little bit; add a little brown sugar and barbecue sauce to them so they aren’t straight of the can. But pretty darn close. This year, I decided things needed to change. I needed to make a baked beans recipe from scratch. One that was easy, delicious, and everyone would rave about. And these crock pot baked beans are just that. 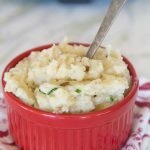 Take with the Best Potato Salad to your next party and you will be the star for sure. Nothing beats homemade. And homemade baked beans are no exception. They are a little bit more work than just opening a can and reheating, but really not much. You have to measure a few ingredients, and brown some bacon. But the crock pot does all the rest of the work. 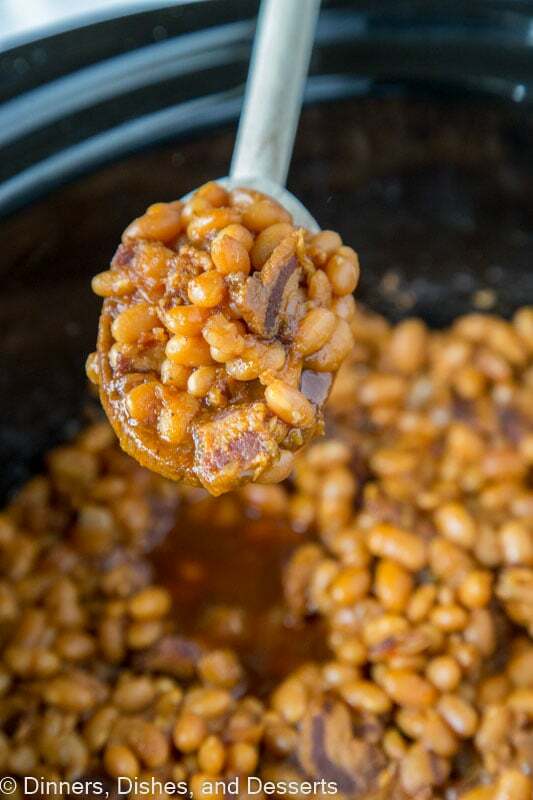 Because baked beans with bacon are just better, you do not want to get lazy and skip this step. This recipe for baked beans comes from Food Network. I changed it just a little for our tastes. But the base recipe is similar. It was also baked in the oven 6-8 hours. And in the middle of summer when it is 90 degrees, I really don’t want my oven on all day. So I adjusted it to work for the crock pot and not be too runny. Start with dried beans and then soak them over night. I put them in a large plastic container with the lid on and put in the fridge. Then in the morning, just drain and add to the crock pot. Bacon is a must in baked beans. You can brown it the day before to save time, and then just add it when you start cooking. 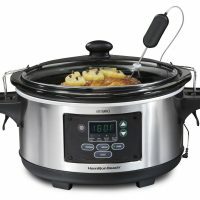 Slow cooker baked beans is really just a dump and let sit recipe. So add all the ingredients, turn on the crock pot, and let it cook for about 8 hours. You really just need the beans to get soft and tender. Jalapenos never hurt anyone! Adding just a little heat to the background gives these beans so much extra flavor. Don’t be afraid, it cooks all day and these are definitely NOT spicy. The main question when making homemade baked beans, is which beans are used to make baked beans. You can really use quite a few. I used Northern beans for this version. 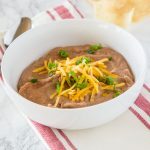 But you can use navy beans, kidney beans, pinto beans and a lot of recipes call for pork and beans. I like to use Northern or navy personally, and then just soak them over night. The next morning you start the crock pot and you are ready to go. The first time I brought these beans to a party, everyone raved about them. I was shocked I went home with an empty crock pot. And the biggest question I got was how do you make baked beans from scratch. It really is simple. Starting with dried beans is an extra step, but it is really not any extra work. While the beans are cooking you can do all the things you need to around the house, and still have time to whip up the Best Turkey Burgers to go with the beans for dinner. 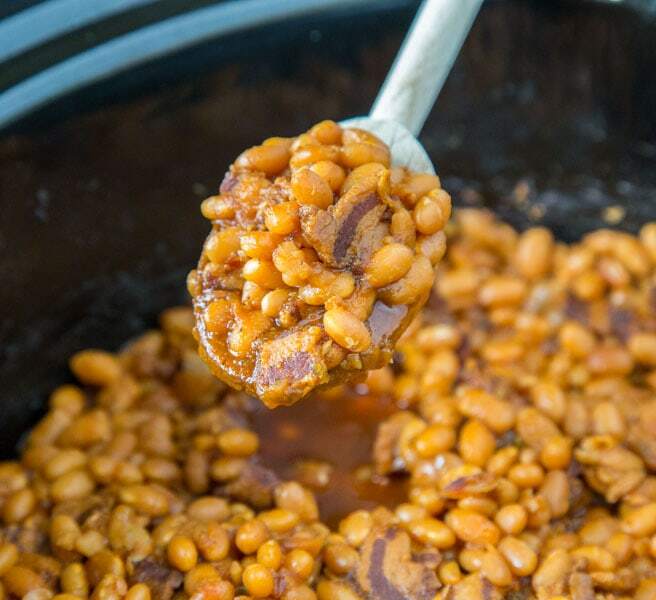 So break away from the can, and try out this homemade baked beans recipe this summer. 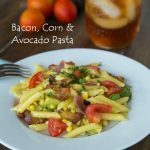 Trust me, everyone is going to love these along side their Bacon Avocado Beer Brats ! Plus the leftovers are delicious for the next couple days. 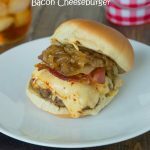 So if you make them on Friday, you can enjoy them all weekend long with all of your other grilling dinner ideas. Whip up this Homemade Banana Pudding for dessert and you have one tasty dinner! Everything just screams summer, time with friends, and enjoying the weather. 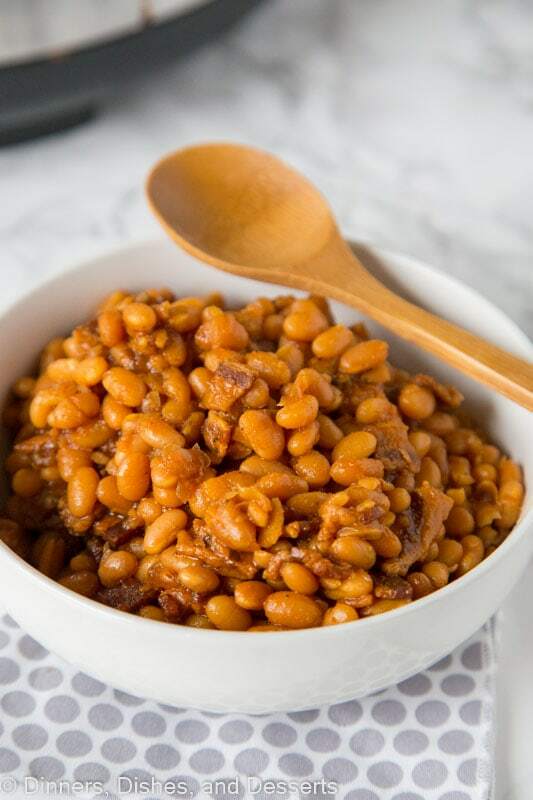 Baked Beans Recipe - The BEST homemade baked beans recipe. 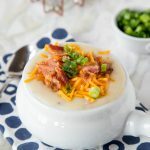 Super simple to make and it is all done in the crock pot! 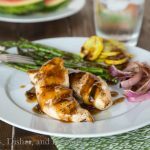 Make for all your get togethers and barbecues this summer! Place dried beans in a large container. Cover with water as directed on the package. Place in fridge overnight to soak. Drain beans, reserving 2 cups of the liquid for cooking. In a skillet, saute onions and jalapeno until soft, about 5 minutes. To the crock pot add all of the ingredients, including the 2 cups of reserved liquid. Stir until well combined. Turn on low and cook for 8-10 hours until the beans are cooked. 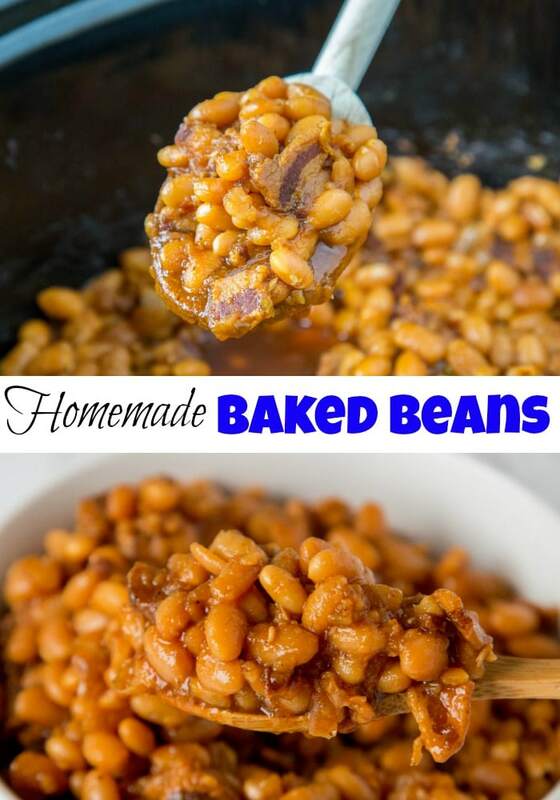 We loved these baked beans! 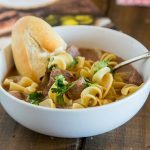 SO easy in the slow cooker. Yum yum yum. And those bacon chunks! Awesome! The perfect beans! I want some! These are the perfect beans indeed! Perfect addition to any meal! I love that are from scratch so you can contraol eactly what goes in! This is definitely the perfect amount of bacon for baked beans hehe. Love it! Yummy! My kids love baked beans! Mmm! 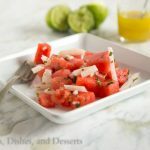 These are perfect for all the upcoming summer picnics and parties. Nothing beats tasty baked beans! 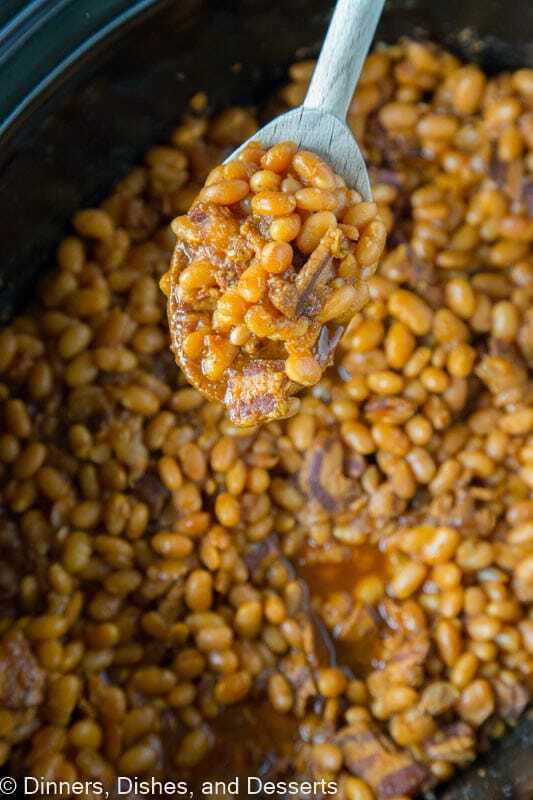 Oh my, these are the perfect baked beans!! YUM! 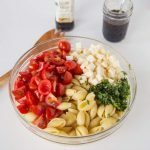 I love easy and delicious recipes! 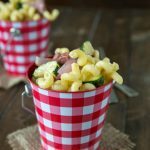 Baked beans are a must for summer bbq here! These sound delicious! I love a good baked bean for BBQ’s! I have to try this one!